OTTAWA – Canada’s richest taxpayers were given ample warning of an impending tax hike, and they used the time to find ways to dodge the increase. 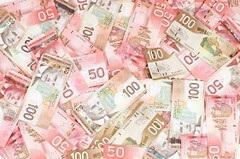 Canada has seen a drop in tax revenues being collected from the country’s wealthiest taxpayers, according to new information released by the Canadian Revenue Agency (CRA). In 2016 Canada introduced a new top tax rate for personal incomes, set at a rate of 29 per cent for all incomes exceeding CAD 200 000. The threshold has since risen to CAD 202 800, as Canada’s tax thresholds are pegged to increase with incomes. The introduction of a new tax bracket for the highest income earners was expected to result in a tax revenue increase of as much as CAD 3 billion, with the funds being set to drop the tax rate in the salaries of middle-income earners. However, despite the projections, the CRA saw tax revenues from taxpayers making more than CAD 140 000 drop by approximately CAD 4.6 billion. The drop has been explained by the fact that the changes were announced part way through 2015, so many affluent taxpayers were able to frontload their incomes, and pay the lower tax rate. The CRA now expects that the coming tax year will see a rebound in tax revenues.